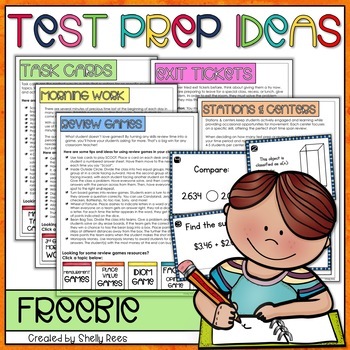 Test Prep ELA and Test Prep Math Ideas are FUN and FREE in this helpful guide. As test time draws closer, stress levels can increase dramatically. You may be worried that you didn’t properly prepare your students, that you didn’t have time to cover all the standards, or that your kiddos just aren’t ready. Help is here!! With all that stress, some teachers make the mistake of drilling students nonstop for days leading up to the test, which in turn causes their students to experience higher levels of anxiety and have poor test performance. There is a happy medium. 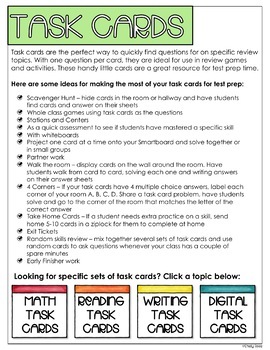 In this free packet, you will find several great suggestions on how to review concepts and prepare your students for test time. 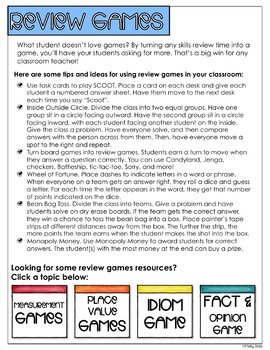 By focusing on key topics that students are struggling with, while keeping things fun, test prep time can actually be quite fun in your classroom. 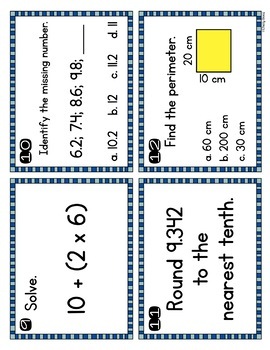 Plus, there are FREE Math Review Task Cards included!